(Newser) – How long will Paul Manafort go to prison for? If Robert Mueller has his way, a "long, long time," Vox notes, per a "harsh" sentencing memo filed by the special counsel's office Friday. In the memo, Mueller agreed with a probation department's recommendation that the ex-Trump campaign manager, 69, serve between 19.5 and 24 years, meaning he would likely spend the rest of his life in prison. "Manafort acted for more than a decade as if he were above the law, and deprived the federal government and various financial institutions of millions of dollars," Mueller noted in the filing. "The sentence here should reflect the seriousness of these crimes, and serve to both deter Manafort and others from engaging in such conduct." Meanwhile, another court filing Friday from Mueller's office contains news on Roger Stone, with prosecutors for the first time saying they have evidence that the Trump ally was in touch with WikiLeaks. A court filing in the special counsel’s case against Roger Stone was widely interpreted in the press as explosive new evidence of the Trump confidant’s contact with WikiLeaks and Russian operatives. 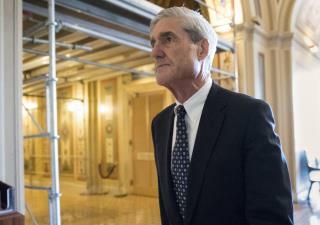 Prosecutors said Friday that search warrants used in the special counsel’s investigation revealed communication Stone had with WikiLeaks and Guccifer 2.0. Various news outlets seized on the filing as new evidence in the collusion probe. Stone’s contacts with WikiLeaks and Guccifer have been in the public domain for more than a year. Slowly but surely Mueller will get to that big fkn fish in the WH. Meanwhile he squirms real bad each day. He deserves it.